For this week we are returning to the First Doctor and the second season story The Space Museum. The Space Museum was the seventh story in the second season of Doctor Who. It was the first story to deal with the dimensions of time as well as space. While it presented many original science fiction elements, it still retained the elements of a typical story of the era. The story's cliff-hanger also presented fans with a preview of the Daleks' third appearance. Their return was awaited impatiently, a fact that was baited by the appearance of a Dalek shell in part one. This shell was the final appearance of the original Dalek design. The Daleks at the end of The Final Phase do not have the metal band of their predecessors. I've given this a 3, but I think 3.5 would have been fairer. I think it is better than average, but wouldn't call it 'really good', either. It starts off really well. 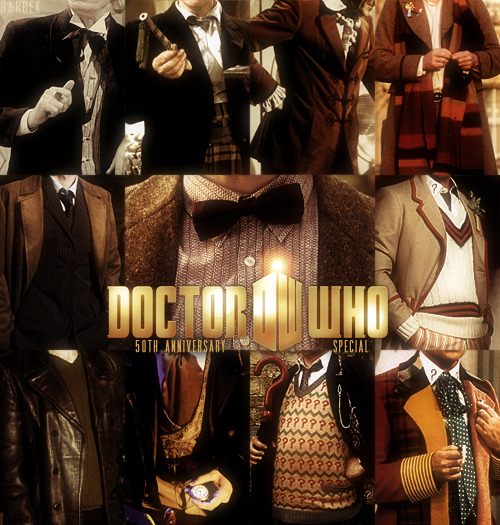 The premise behind it was original to the show and probably the first instance of Timey Wimey that the show attempted. The thing is, I think that while it started out really strong, it got progressively worse until the final episode, which ultimately dragged the overall rating down. It's not an awful story though, by any standards. I have given this a score of three. On the one hand, as Saber says, it does get progressively worse from beginning to end, but it has some moments when it is genuinly brilliant. I also think it should be commended for trying something new, and for the most part succeeding in it. Unlike many of the time jumping stories we get today, this was kept coherent and easy to follow. It's not the best story by any means, but it's certainly worthy of some praise. I agree with what has been said above. A bit of a missed opportunity, with the mind-boggling premise of the first episode then becoming a very conventional slaves vs. masters story. But I'm giving it a 4 even so, partly for its ambition, and i did think there were some really great scenes where the Doctor was being interrogated. Hartnell was very good in this story. I have given this a 4. It does have its problems but for the most part I think it is an enjoyabe story. I wouldnt say it was one of the best First Doctor stories, or even one of my favourites, but it isn't as bad as some make it out to be. 3/5 from me. It's an ok story but by the end of it I was starting to get bored, which is a shame because it started off really well. It felt a bit like they weren't sure what they wanted to do with it. It had bits of humour and then really serious scenes then it got all dramatic and sort of went in circles. I agree it falls off from a brilliant beginning, but there's still a lot to love even in the later episodes. I'd give episode 1 a 5 and the rest a 3, so I've averaged it out as 4. I'm giving it a 5. Yes, it loses momentum along the way, but it's still a great story and an interesting take on the timey and wimey and what if's. I kinda liked the idea of this but wasn't so keen on how it turned out. I don't think the script was the finest ever submitted for the show. Yet the story does have an endearing little charm about it. It will never be the first choice to take off my shelf and watch but I don't hate it either. Therefore, 3 all the way for me. I think a 3 is fair. It's not a bad story, but it really does lose it's way by the end. The first episode is excellent and the premise is great, it just doesn't hold up. This is getting a 4 from me. A generous 4, because a three is probably more fitting, but episode 1 was far better than the rest of the story. Just a 2 from me. The only thing that stopped it from getting a 1 was that episode one was pretty good and Vicki was given a bit of development. The rest of it was pretty dire. I know it's not one of the more popular stories but I've always been quite fond of this. I remember watching it years ago when I was young and being fascinated by the jumping time tracks and being sort of out of sync with time. It's pretty easy to get your head around now, but I think I was about six when I first saw it and I spent hours with my brother trying to figure it all out. I thought it was genius. Now I'm older I see more faults in it that I didn't notice as a kid, but I still think it's a great story. I've given it a 4. A three from me. I wanted to give it more but as has been pointed out it really doesn't live up to it's first episode. It does have plenty of highlights though. 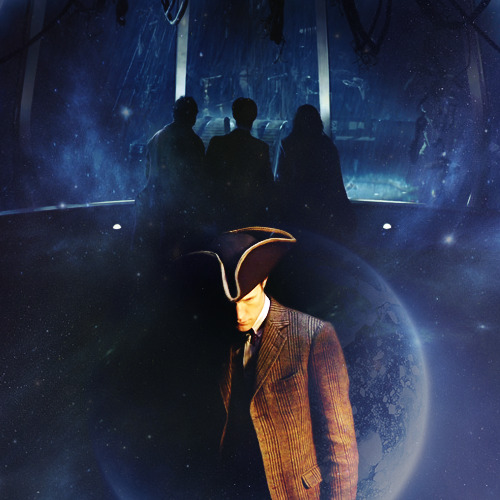 The Doctor is brilliant and the overall premise is interesting. I think the big problem is that the first episode is so good that the others seem less so, but I don't think they are as bad as some make them out to be. I think the story as a whole is really good so I have given it a four. Two from me. There are a couple of parts that I like, mainly the Doctor messing around with the mind machine thingy and Vicki finally being more than a spare part, but this is another example of a great premise that never gets off the ground. It has some good ideas and episode 1 is awesome but other than that it's a pretty dull runaround. It isn't as bad as people make it out to be but, yeah, it's pretty bad.